One of my favourite holiday reads this summer was the ‘The Last Speakers’ by linguist K. David Harrison. The book is a compelling, first person account of the plight of the world’s minority languages – at least 1 in 4 of the world’s 7000 languages are in danger of dying out – and, most importantly, what can be done to save them. In many cases, Harrison points out, this involves adults and young people learning a (heritage) language that is hardly spoken at home, if at all. As anyone who has struggled to learn a second language will know, this is no trivial task. Danny might not be a linguist, but he knows that there are two ways to learn a language. The easy way is the way we all learn our first language: as a child, with enough input from our parents, and without any formal teaching. The other way is the hard way, after the so-called ‘critical period’ for language acquisition, as an adult, in class rooms and from text-books. And we all know just how hard that can be. For adult language learners, there is a worldwide community of academics and practitioners devoted to research into the (cognitive, socio-cultural and pedagogic) processes involved in teaching and learning second languages, and how they can be made most effective. The fruits of their labours are countless journal articles on second language acquisition, and textbooks that strain to summarise the most important of them. Outside of the classroom, there are a myriad of ways to learn a second language, and countless commercial companies offering the newest and best methods for doing so. 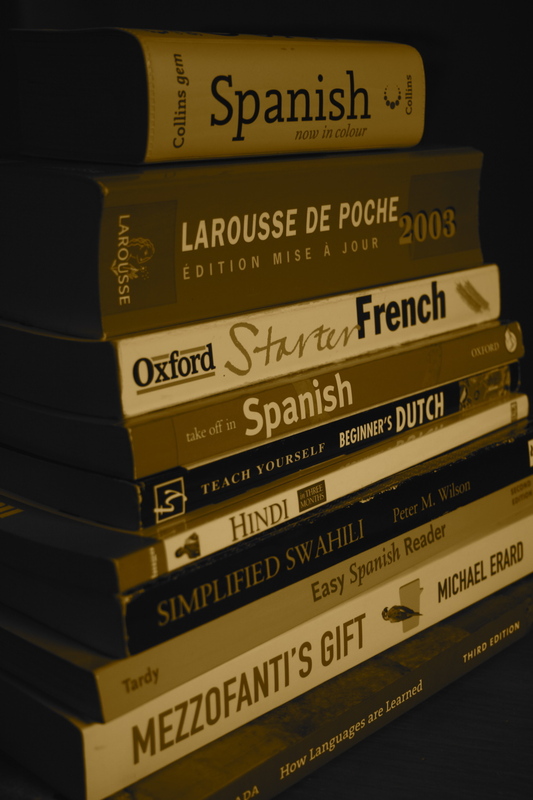 And, finally, there are a myriad of guide books, websites and blogs, written by fellow language learners, offering advice and insights on the most effective ways to learn a foreign language. All of these are valuable, of course. But, for me, Danny sums up the process (and challenge) of second language acquisition most succinctly. Unless you grew up speaking it, there is only one way to learn a second language and that’s the hard way – one word at a time. The interview made me think of an excellent documentary I saw last year, also about language endangerment, called ‘Tongues of Heaven’. The film explores the attitudes of four young women, from minority language communities in Taiwan and Hawaii, to their heritage languages. The two women from Taiwan in particular, fluent speakers of Mandarin, have both struggled to learn and speak the language of their grandparents. In carrying the burden of past generations to maintain their heritage languages into the future, they admit to feeling guilty that they haven’t tried harder to do so. ‘Do you feel lazy?’ the interviewer asks one of the women about her efforts to learn the language of her ethnic group, Kanakanavu. ‘Lazy? Yes,’ she replies. But, as a teenager in a rapidly modernizing society, it’s hard to blame her. As any language learner will know, irrespective of all the great guidance material there is out there, it takes grit, determination and time to learn a foreign language to any degree of fluency. It’s going to take the same grit and determination to ensure Washo, Kanakanavu and the many other minority languages across the world can be saved from extinction. There’s a third way: as an adult, by immersion and through necessity. All those Fourth World people who have learned locally hegemonic languages (the few Pirahã who speak Portuguese, say) didn’t learn them in classrooms or from textbooks. Thanks, John. I’d agree that plenty of people learn through immersion and necessity without much resort to textbooks but I’d still call that learning the ‘hard way’! I have found that adults tend to make their task much harder by unintentionally taking for granted certain patterns and other things about their native language. So instead of treating this new language like a blank slate, they overuse their native language in an attempt to understand the new language. Case in point: I saw it commonly asked – “Why does the word behave that way in X language? It doesn’t do that in English.” Once I got past the point of taking English for granted, it was much easier to at least wrap my head around various things I encountered in other languages. That’s a great point. There are plenty of people looking at the effects of a person’s native language on their progress in learning a second language (L2). At my university, Birkbeck College at the University of London, researchers are even starting to look at the effects of both L1 (native language) and L2 (second language) on learning a third language (L3). As you say, it’s really hard to get past the (grammatical and phonological) bias of your first language when learning to speak another. For me, once I realized what I was doing, there was a pretty big mental shift – back when I was actually very fluent in more than one language, my thoughts decoupled from English and I didn’t think in any particular language anymore. I felt like I was picking a communication filter to express my thoughts whenever I would speak. What was really interesting to me about this is I really became aware of those concepts that are easier to express in other languages than in English. But I’m still approaching language as an English speaker – I don’t like dealing with noun declination. On the other hand, since I also don’t like verb conjugation, I think I just may be grammatically lazy.